My first solo album "Journeys" (Ravello Records, September 2018) includes my solo piano compositions Journey (2015-17), Swirling Sky for solo piano (2014), and Three Pieces for Piano (2006) performed by the amazing pianist Jeri-Mae G. Astolfi. Visit Ravello Records to learn more about the music, hear a track, view scores, and purchase the album. "Apparitions II" Andy Wen, saxophone. Emeritus Records. Includes Apparitions for alto saxophone and electronics. "World Without Words" Debra Richtmeyer and the University of Illinois Saxophone Studio. Mark Records. Included Awakening for saxophone choir and Flurry for soprano saxophone and electronics performed by J. Michael Holmes. “Here (and there)” Jeri-Mae G. Astolfi, piano. innova Records. Includes Swirling Sky for piano and electronics. Phantasm” Eric Honour, saxophone. Ravello Records. Includes Apparitions for alto saxophone and electronics. “Personalities” Laura Medisky, oboe; Vincent Fuh, piano. Centaur Records. Includes Dialogues for oboe and piano. "Music from SEAMUS Volume 22" includes Swirling Sky for piano and electronics performed by Jeri-Mae G. Astolfi. 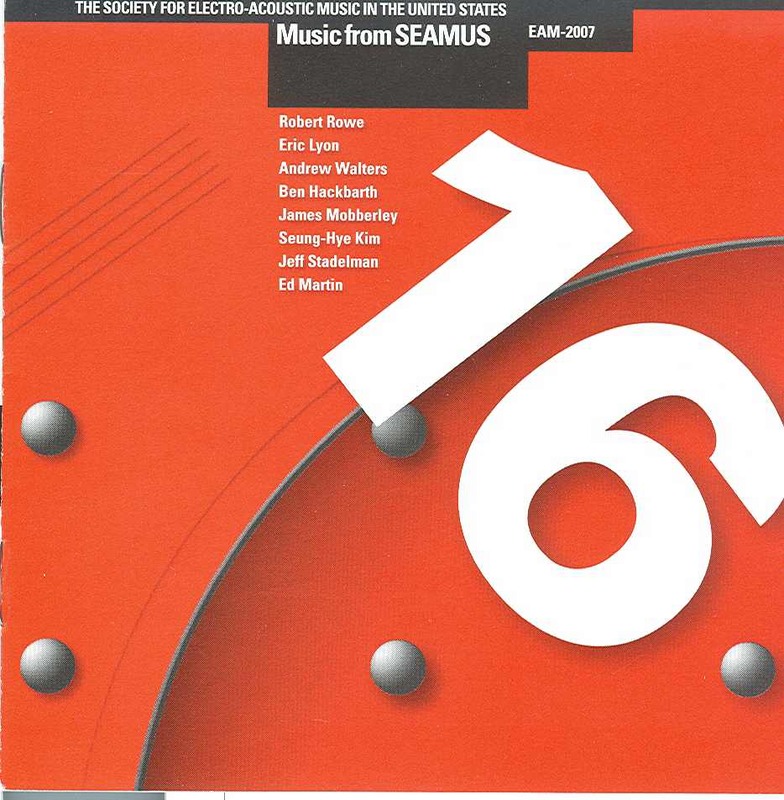 “Music from SEAMUS Volume 16” Includes Flurry for soprano saxophone and electronics performed by J. Michael Holmes. "In Celebration of the 50th Anniversary of the University of Illinois Experimental Music Studios" Scott A. Wyatt, director. Includes Time Passed for fixed media electronics. “Wavefields” Music from the Experimental Music Studios at the University of Illinois, Scott A. Wyatt, studio director. Includes Apparitions for alto saxophone and electronics performed by Michael Bovenzi. “Confluencias: Art and Technology at the Edge of the Millennium” Includes Drift for fixed media.